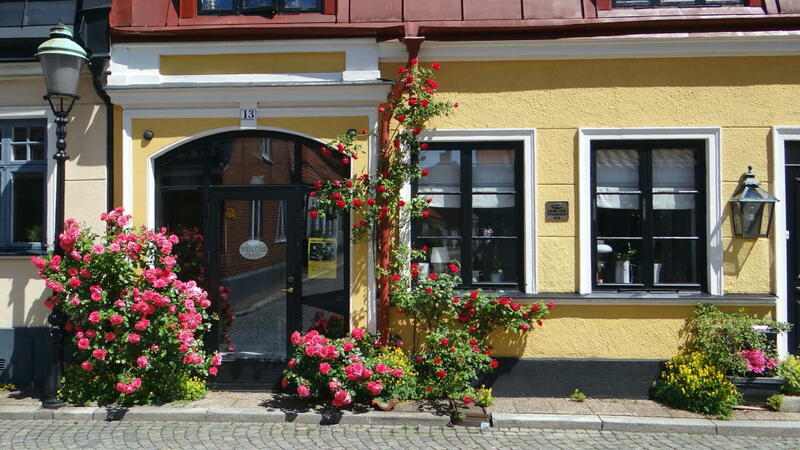 On our stroll through Ystad, we kept wondering: Are they running a competition – “Make your town more beautiful”? 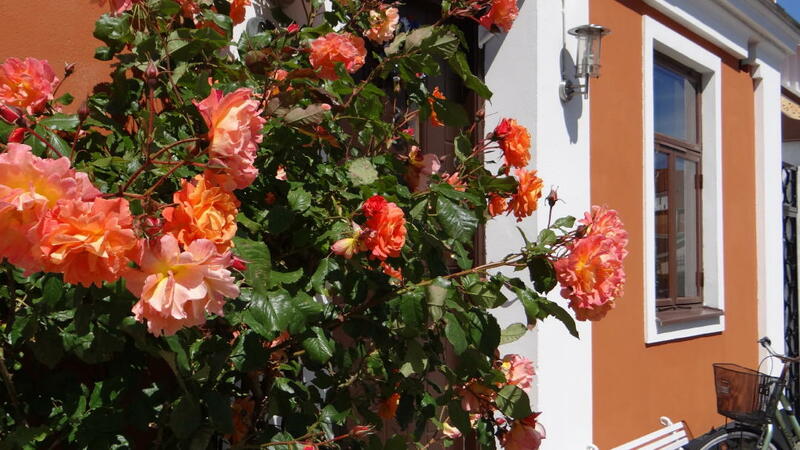 Everywhere we go, we see roses on the houses! 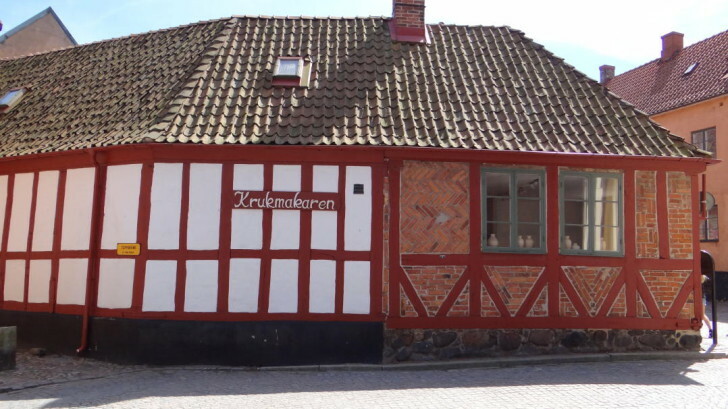 Many houses are real gems, especially the low half-timbered houses. 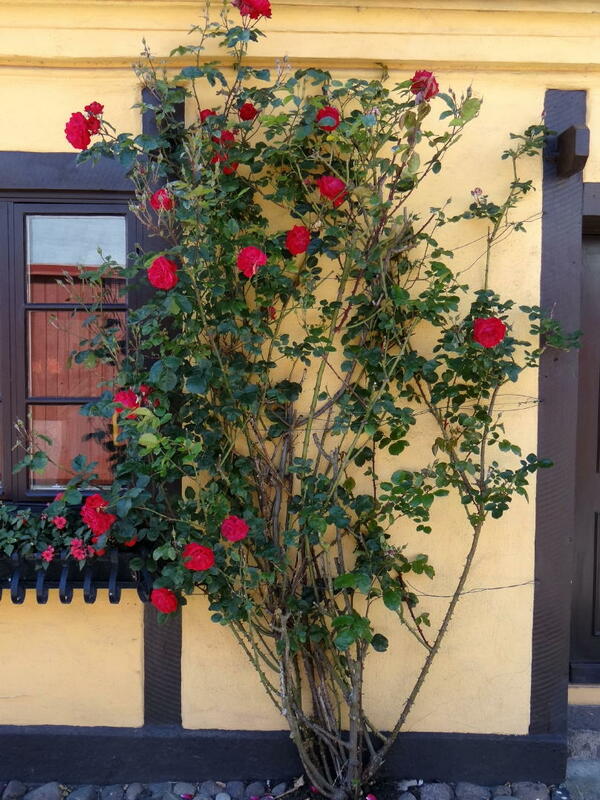 Everything is lovingly maintained. The town is situated in Skåne, on Sweden’s southernmost coast – only Trelleborg lies even more southerly. 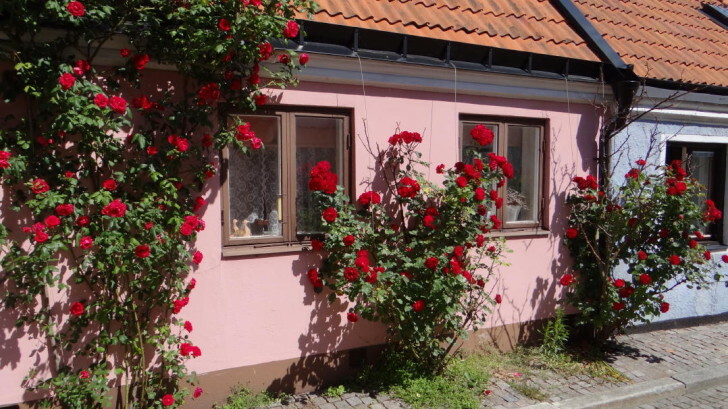 In the vicinity of Ystad, particularly if you are heading towards Österlen (Simrishamn), you will find Sweden’s greatest concentration of galleries, gardens and farm shops. 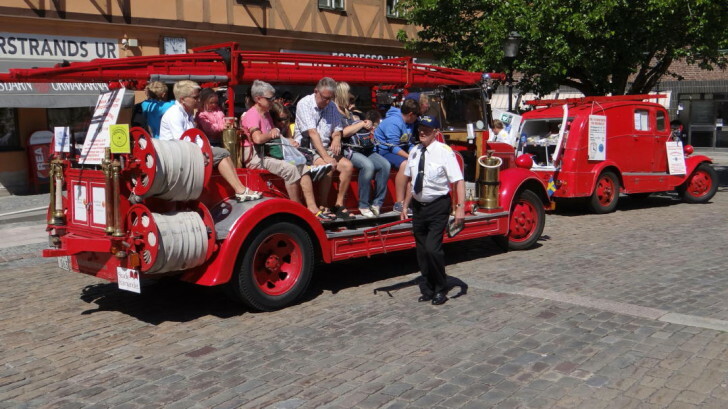 During our tour through the town, we visited the Stortorget, the large market square in the town centre, where St. Mary’s Church (Sankta Maria Kyrka) and the old town hall (Gamla Rådhuset) are. 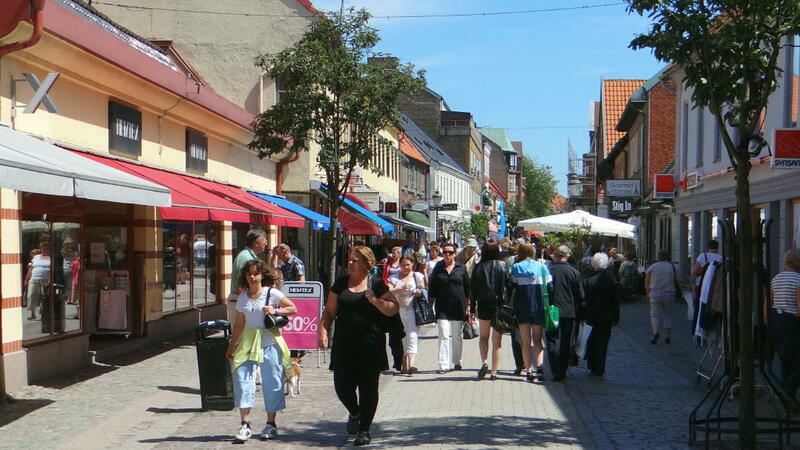 Around the Stortorget square, there are shopping streets with speciality shops and restaurants. 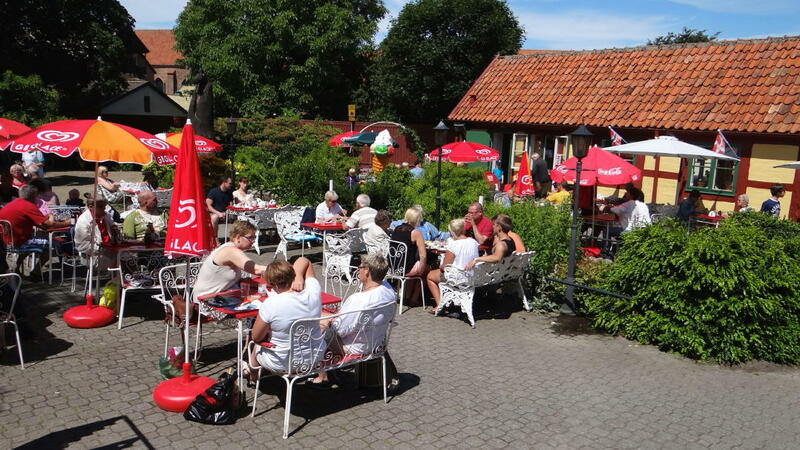 We had lunch in a large, quaint patio of a café in the town centre (Bäckahästen Kaffestugan, Lilla Östergatan 6, see picture on the top of this page). 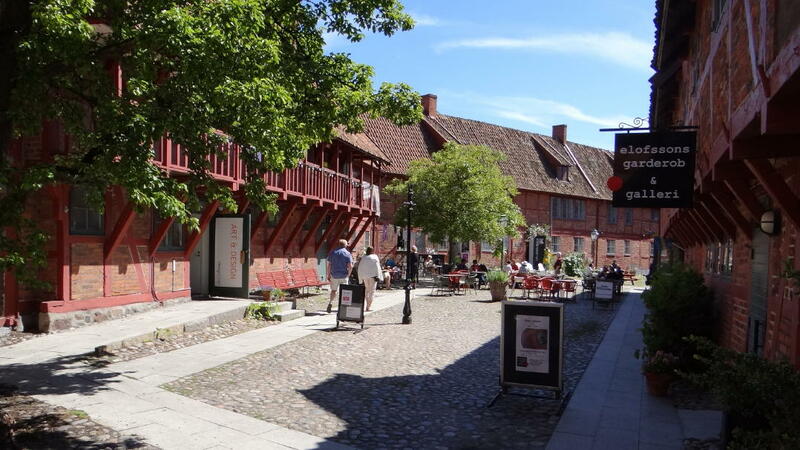 At the eastern end of the shopping street Stora Östergatan, there is an entire neighbourhood with old half-timbered houses that has been carefully modernised: Per Helsas gård. There are cafés and shops that sell fashion, arts and crafts. 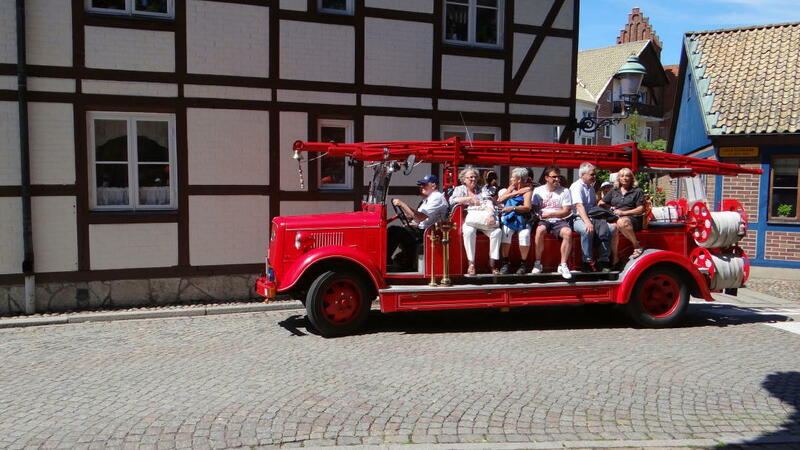 You can tour the town on a veteran fire engine, on rickshaws or on a little train on wheels (“Lilla Tåget”). 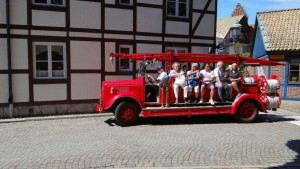 More information is available at the large, modern tourist office, which is located inside the Art Museum. 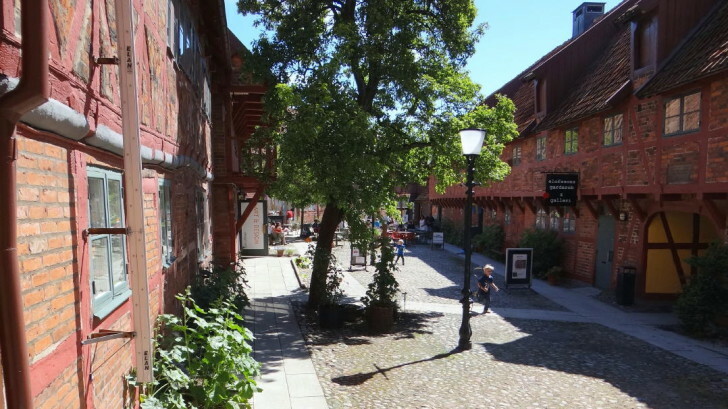 In front of the building, there is a large car park (S:t Knuts torg). If you are a fan of the Kurt Wallander crime novels, you can tour those streets, houses, squares and restaurants in Ystad that inspired settings in the books. 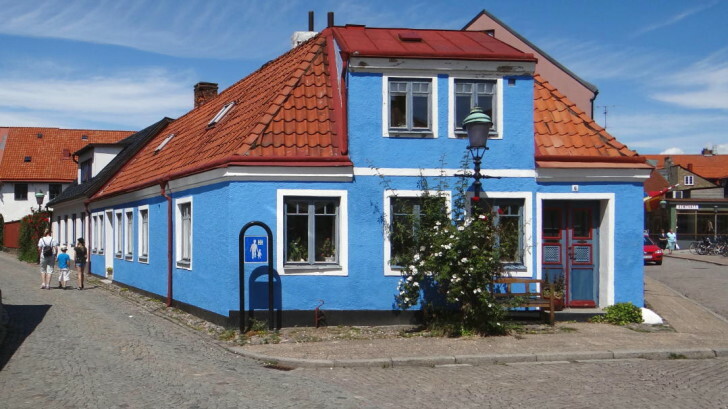 Wallander’s house is located at Mariagatan 10. 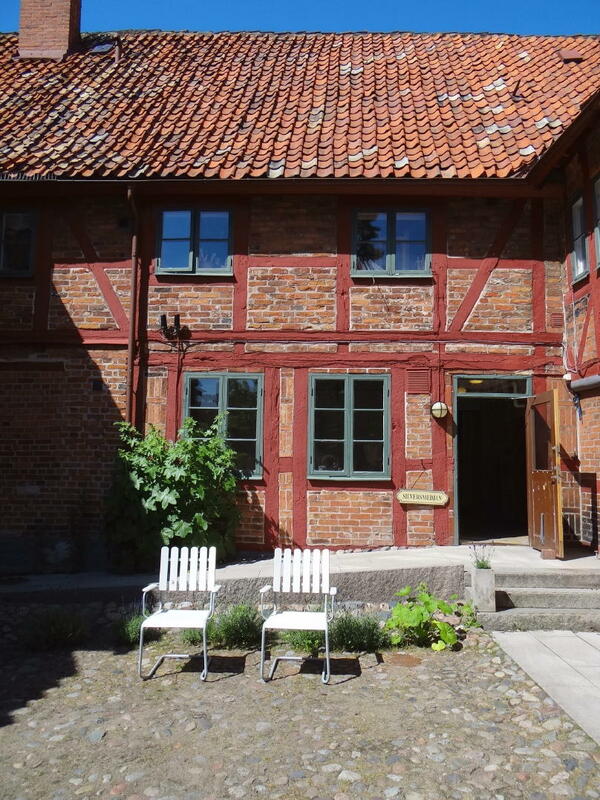 You may also want to take part in a guided “In the footsteps of Wallander” tour (e.g. on the veteran fire engine). You will get an brochure with all the settings and characters of the Wallander crime thrillers from the local tourist information office. 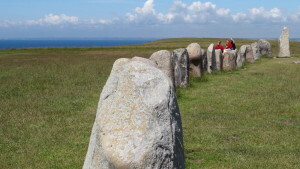 The 59 stones forming the megalithic site Ales Stenar at Kåseberga also belong to Ystad. 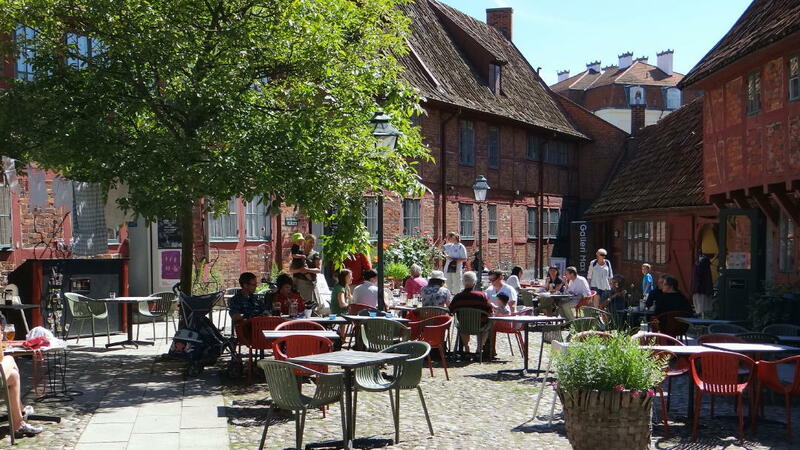 Ystad is a picturesque little town yet considerably bigger than e.g. 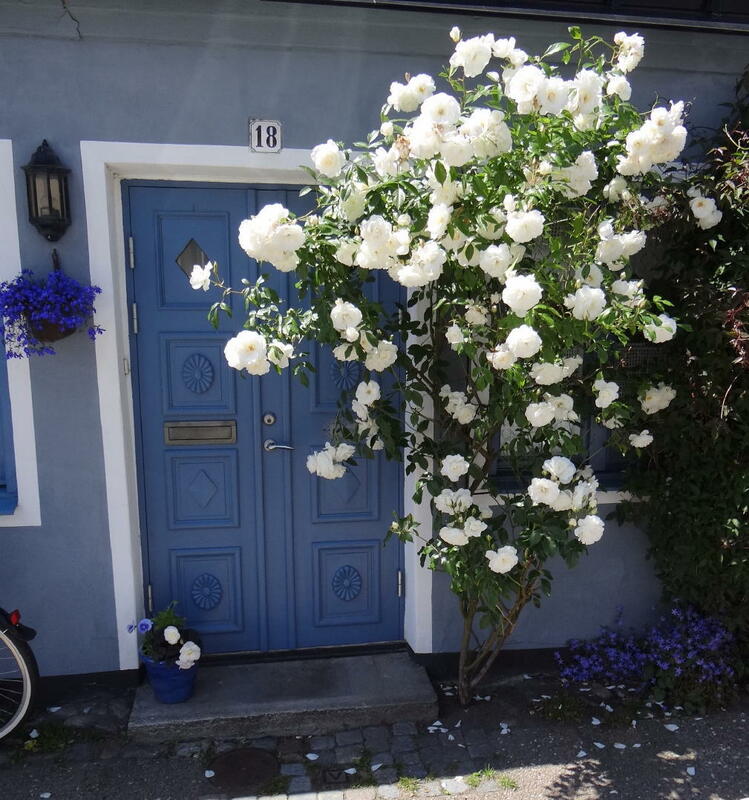 Simrishamn. The town is also a busy seaport. Ferries to Świnoujście in Poland (Unity Line) and to Bornholm (Denmark), for example, depart from here. 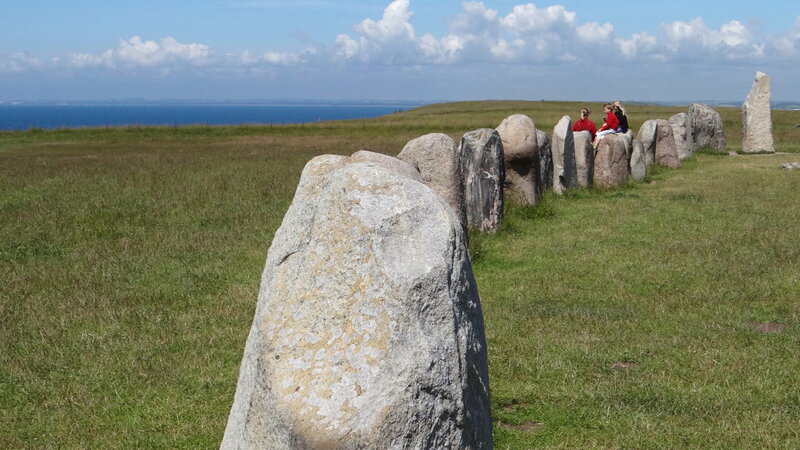 For a daytrip to Bornholm, we recommend taking the high-speed ferry with a crossing duration of only 1 hour and 20 minutes for the route Ystad – Rønne.